Hi, and welcome to my practice! My name is Kris Abrams. I practice psychotherapy and shamanic healing in Cortez, Mancos, and Durango, CO, and work with clients around the world by phone. And, if desired, shamanic journeying. As a client, you may elect to engage in psychotherapy alone, shamanic journeying alone, or to integrate the two. My formal education includes a Master’s of Philosophy from Oxford University, where I was a Rhodes Scholar, a Master’s of Science in Mental Health Counseling from Prescott College with a focus on Ecopsychology and Wilderness Therapy, and Bachelor’s degrees in Neuroscience and Philosophy of Science from Brown University. I am trained as an EMDR therapist. I have also studied privately with my shamanic teacher for ten years. How does one become a psychotherapist and shamanic practitioner? You may not be surprised to hear that I haven't walked a linear path. As a young adult, I devoted myself to transformation at the level of society and systems. Believing in the transformative power of education and the media, I produced Democracy Now!, a national, independent news and public affairs program, from 2000-2003. Desperate for mountains, fresh air, and pace of life that felt more natural to me, I moved from New York City to Colorado. I went to work for the community radio station in Boulder, KGNU, and led KGNU's expansion campaign into Denver. I moved onto manage and direct communications and individual fundraising programs for Global Greengrants Fund and Urgent Action Fund for Women’s Human Rights. I also co-founded a non-profit in Denver, Let Us Rise, that supported different organizations and groups of people to envision the kind of world we want, and to come together around that vision. All of this work was deeply meaningful to me. But somewhere, deep inside, it just didn’t feel like I was on the right path. I also felt strongly that our attempts to transform society often end up reproducing the same dynamics we oppose, despite our best intentions. So I began studying with my shamanic teacher. Over the years, I came to understand that the gifts I have to offer are rooted in supporting people to heal and live lives of meaning, service and joy, most especially by helping them to deepen their connection to the natural world and their true, authentic natures. In 2017, I moved to the small town of Mancos, CO in order to deepen this work and my relationship with the natural world. Live with Joy: An ongoing, nature-based therapy group for women. Tuesday nights - contact me to reserve your spot. Click here for more info. A Prescott College Intensive for Adventure Therapy and Ecopsychology Master’s students, General Counseling and Education Master’s students, and alumni, therapists and educators. Co-taught with Katie Asmus, April 2-6, 2017. "Working with Internalized Oppression in the Current Political Climate": An exerpiential workshop delivered to the Rocky Mountain Regional Conference of the Association for Experiential Education, April, 2017. "How Does Nature Heal? An Experiential Introduction to Nature-Based Psychotherapy," Presented by The Women's Wilderness Institute at Summit Sisters, June 3-5, 2016. "Collaborations with the Natural World: Nature-Based Interventions for working with trauma and nervous system regulation in educational and therapeutic settings." A Prescott College Intensive for Master's Students in Education and Counseling Psychology. Co-taught with Katie Asmus, April 11-14, 2016. "Towards Authenticity, Connection, Meaning and Joy: Lessons from Shamanism," Delivered January 20, 2016 at Interface Boulder. Click here to purchase an audio recording. Also delivered to the Prescott College Master's Students Colloquium, April, 2016. "The Alchemy of Change: Transforming Your Intentions into Action," a workshop delivered at the Boulder Bioneers Conference, Oct. 25, 2015. Click here for more info. Also delivered to the Prescott College Master's Students Colloquium, April, 2016. 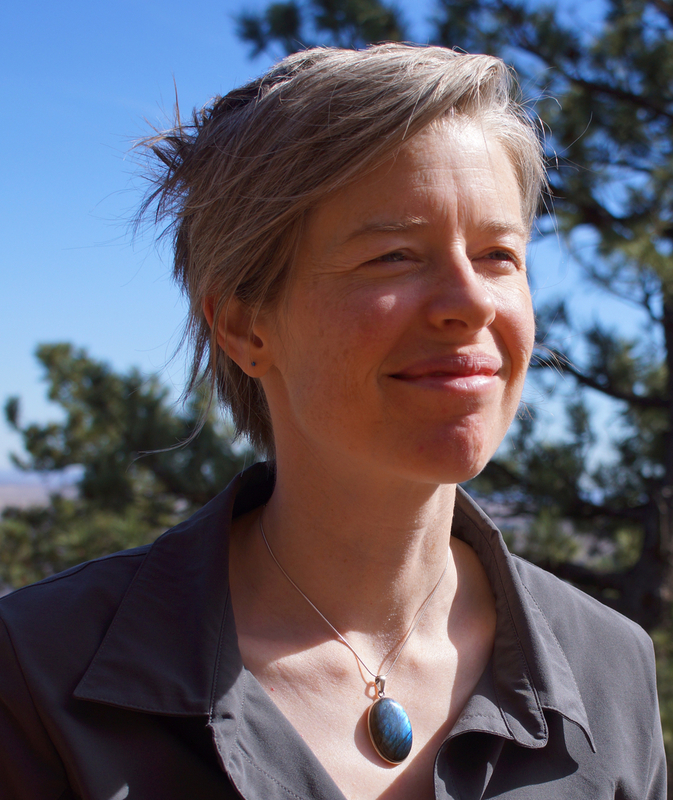 "Of Soul & Spirit: Conscious Incorporation of Spirituality & the Transpersonal into Wilderness/Adventure Therapy," a workshop co-facilitated with Katie Asmus and delivered to the Association for Experiential Education International Conference, Oct. 23, 2015 in Portland, OR, and to the International Adventure Therapy Conference, June 4, 2015 in Denver, CO.
"Why Nature Heals," a talk delivered to the Inaugural Symposium of MeSimple on April 25, 2015. "Helping People to Live Lives of Connection, Meaning and Joy: Lessons from Shamanism," a talk delivered to the Boulder Institute for Psychotherapy and Research on June 19, 2015. The Women's Wilderness Institute Presents: Live a Joyful Life! An 8-week, nature-based therapy group for women. September-November 2015. Living What Matters: a 6-week workshop designed to help you clarify your vision for your life in partnership with nature. Experiments in Joy: Exploring your spiritual relationship with Nature. A 4-week experiential training designed to help you deepen your spiritual relationship with Nature.